We go hands-on with the new Hasselblad H6D 100c and 50c and take a number of shots with the 50 megapixel H6D 50c. John Riley went along to the recent Cambo UK Open Day With Mamiya Leaf's latest medium format digital back, the Leaf Credo 80 with 80 megapixel sensor. 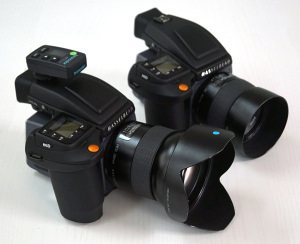 We go hands-on with the new Phase One 645DF+ with IQ140 Digital Back at Photokina 2012.